Summary: Shadow of the Tomb Raider is a great example of how to do a sequel with an amazing story, great protagonist and gameplay mechanics that just work! Simply wow… that was my first reaction to Shadow of the Tomb Raider, including OMG and quite a few moments that left me gobsmacked and emotional due to the powerful journey of our hero Lara Croft in this game which can be quite dark at times. Needless to say as this was my most anticipated game of 2018, so I had a high expectations for Shadow of the Tomb Raider and after completing this title, I can safely say that not only did it meet them but in some parts exceeded them. So if Tomb Raider (2013) was a coming of age story, Shadow of the Tomb Raider is defining Lara’s character as an adult because of her history, the goals the Clandestine organisation known as Trinity and the repercussions of her actions. 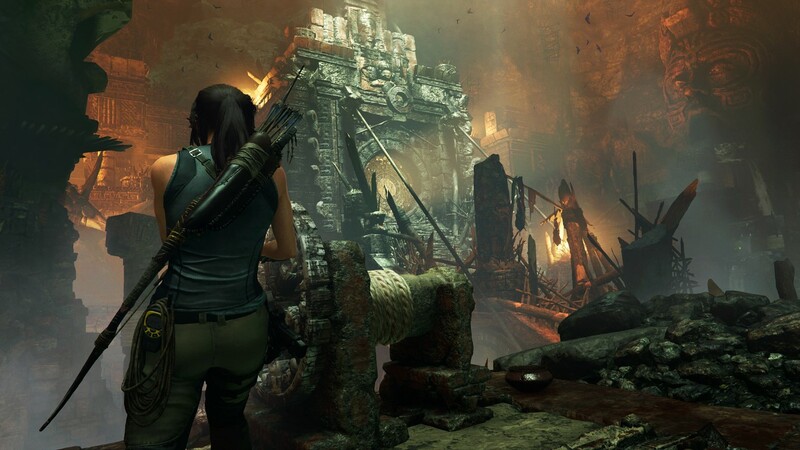 Without spoiling the story of Shadow of the Tomb Raider (and it’s a good one)… it’s another emotional roller-coaster for both Lara and the gamer and has some dark themes. 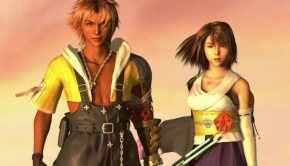 Continuing from the previous games, Lara and her friend Jonah who is a brother figure to her are once again going up against Trinity who are trying to get control over humanity courtesy of mythical artifacts and puzzles which are littered across the planet. In other words, if Lara doesn’t stop them, mankind is in a whole world of hate. The story commences in Mexico on the Day of the Dead as Lara attempts to get to an ancient dagger before it gets into the clutches of Trinity. 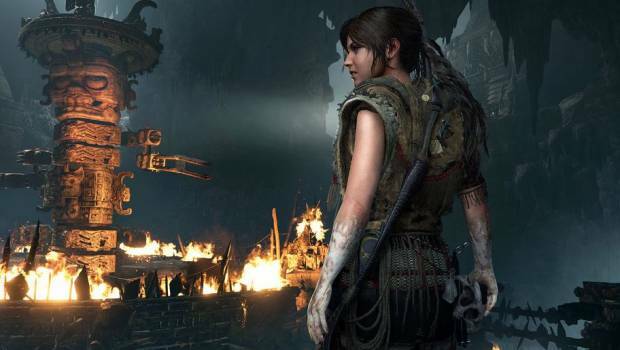 Unbeknown to Lara, this dagger is linked to something darker and when she frees it, she believes she has unleashed a Mayan apocalypse onto the world that causes part of Mexico to be engulfed by a Tsunami. Compounding the situation, the dagger falls into the hands of Trinity with one of their archaeologists and leaders (Dr. Pedro Dominguez) believing that with it, he can reshape the world and thus begins and adventure that takes Lara to the darkest jungles of South America. 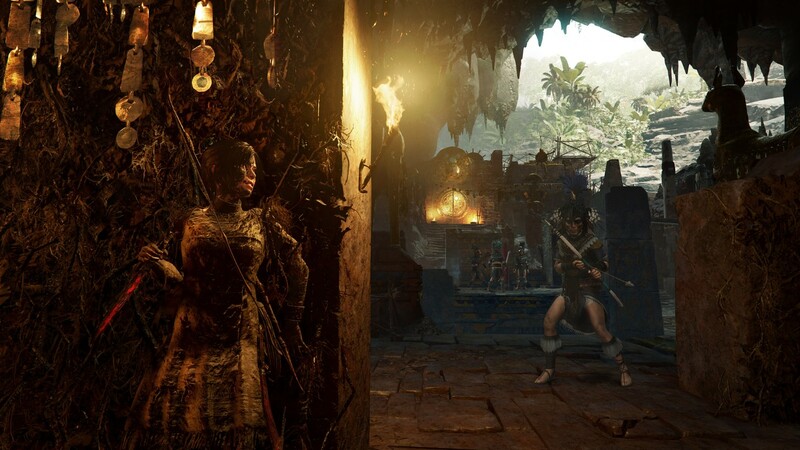 Gameplay wise, Shadow of the Tomb Raider is similar to Tomb Raider and Rise of the Tomb Raider, however does feel a little on-the-rails as you explore these beautiful environments, solve puzzles and collect artifacts plus learn the history of these ancient civilizations. Add in a movie-like experience and this game is the perfect formula to keep you totally invested from start to finish and then beyond. 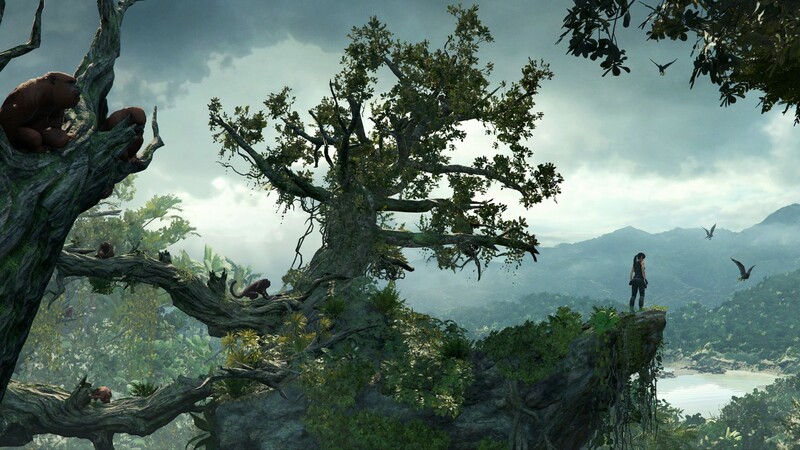 The controls are well mapped on the Xbox One S controller that makes controlling Lara with the environment quite flawless as you precariously climb up and down dangerous cliffs, make leaps of faith or engage in both melee and ranged attacks against your aggressive enemy. Furthermore, nothing is more satisfying then using the classic wall run or the new rappelling feature which makes exploring this world a much more grounded yet exciting experience, especially with all the surprises that the developers throw at you… not to mention the underwater areas! 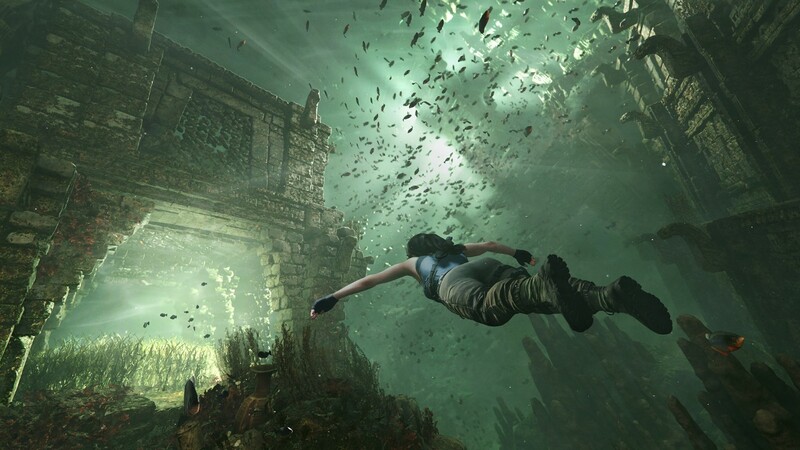 I also like how Shadow of the Tomb Raider does force you to use stealth when taking out enemies and whether that’s hiding under water or in foliage, it feels quite natural as you send them into Xibalba which is the Mayan Underworld. There’s also a wealth of weapons at your disposal from your trusty arrows to a whole assortment of guns to help give you a slight edge. 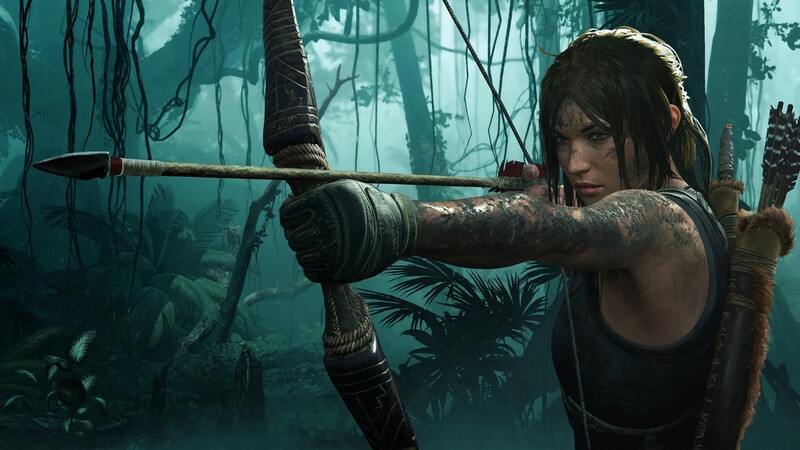 Given that, the combat system of Shadow of the Tomb Raider is quite satisfying and it’s great how the developers have kept it real, without Lara becoming an action hero where she can take on a small army without breaking a sweat. Then you have the jaguars and wow… these large cats are tough and I love the ‘respect’ that Lara and these animals have for each other, even though they fight to the death. However the crafting of the game does feel a little disjointed but it works as you upgrade and create better inventory for Lara, including herbal mixtures. Adding to the gameplay is the skill tree that includes seeker, warrior and scavenger which allows you to fine-tune the abilities of Lara. Also the skills are quite useful (most of them) such as Raposa’s Threat from the Warrior tree which gives you assistance when aiming at an enemy’s head or Eagle’s Talon from Scavenger which allows you to shoot an arrow at your enemy when you’re on a tree branch and then hoist them up in classic Batman fashion to kill them. 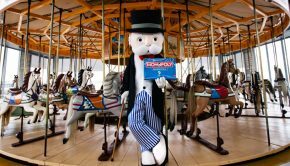 The puzzles are well-thought out, without them being overly complex and more often than not, the clues are in the same area, however photos and artifacts are collected on the way to support your journey. If you do get stuck, you can use survival vision to help point you in the right direction, including help from Jonah and other supporting cast characters. Adding to the story are flashbacks to another time for Lara which helps make this cyber heroine a much more realistic gaming character that also tethers her to the player. This explains the motivation for Lara and why she is doing what is. 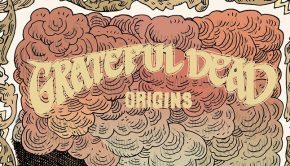 Furthermore, it’s a well-placed story and just when you think it may become a little slow, something happens and once again draws you in and the ending of this title is definitely the best in the series. 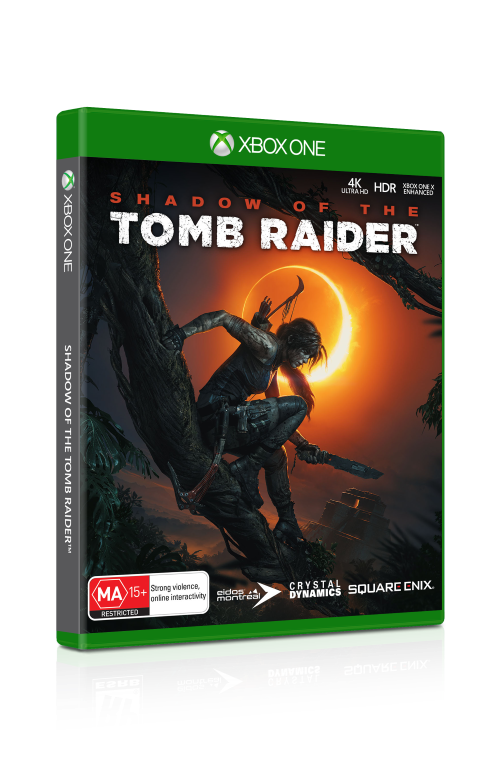 Graphically, Shadow of the Tomb Raider looks amazing on the Xbox One X with a vibrant and interactive gaming world that literally comes to life. 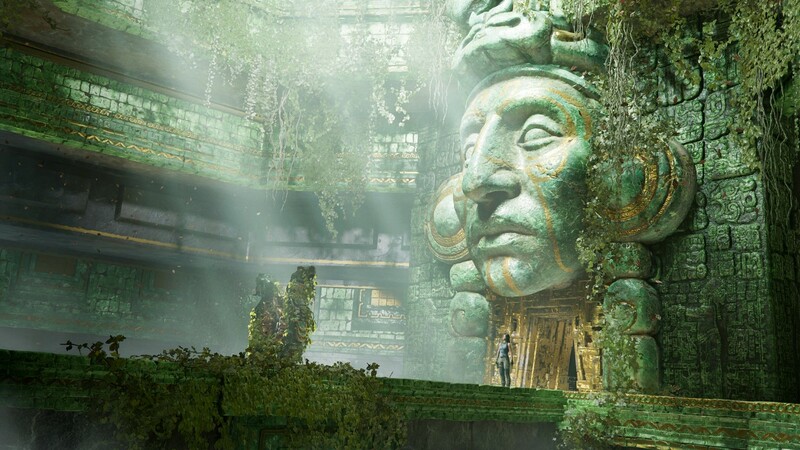 The locations in the game definitely verge on photo realism at times and whether that’s the celebration of the Day of the Dead in Mexico or exploring a lost civilization in the jungles of Peru, the attention to detail is unparalleled. Supporting this lifelike detail is the 4K power of the XBox One X which adds another layer of graphical goodness and is definitely one of the best looking games on this console at present. Character models are quite detailed and the developers have added some exceptional emotions, particularly to the protagonist herself Lara Croft who really draws you into her plight, including her confident Jonah Maiva. Complementing the graphics is the audio of the game and whether this is the dynamic music which also channels the cultural heritage of the story to the flawless voice acting or background ambience, it comes together perfectly on the Xbox One X. Shadow of the Tomb Raider delivers and it does it with perfection. It’s one of those games that successfully borders on an interactive film experience that really makes you feel like you are part of something big. The narrative goes hand in hand with the gameplay and when added to the gorgeous element of 4K, Shadow of the Tomb Raider is a real treat to play and although I’ve finished the game, I’m eager to return and complete those challenges and of course find those hidden artifacts.